Improving our writing skills is an ongoing pursuit, whether we’re an old hand at copywriting with years of dogged experience or a fresh-faced rookie. Reading is an integral part of this improvement and I find myself on the lookout for good – and bad – copy in everything I pick up. Scanning the pages of newspapers, magazines, even local leaflets and flyers, to see how each writer thinks and, well, writes. Adverts are another quick and easy way to see the good, the bad and the ugly in an easily digestible format. We’ve all seen them and we all comment on them, whether publicly or privately – usually both. 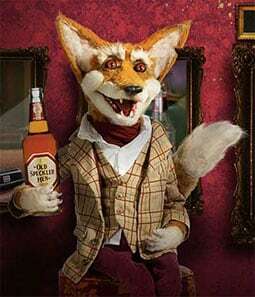 One series of ads that has really stood out for me over the past months is those for Old Speckled Hen beer. Often seen nestling inside the pages of Saturday’s Guardian newspaper, these beautiful examples of long copy (by creative team Sander and Tom at Grey London) certainly aren’t afraid of being overly wordy in their content. These aren’t your usual flashy adverts. Understated visually, and written using a fairly niche tone of voice, they are specifically aimed at their existing audience, but can be read and enjoyed by anyone. Composed as a standalone short story, almost anecdotal in style, each one is based around topical events and because they’re loaded with humour and sharp-witted comments, they keep us interested and keep us reading. It’s the ‘funny story’ format that makes the all important emotional connection and fully engages the reader. If it keeps us reading, chances are we’ll eventually end up buying, which of course, is the whole point. Actually, it’s not the whole point; it’s only part of the point. The whole point from a copywriter’s viewpoint, is that the reader ought to be emotionally connected to the copy in the first place – what the product is, is almost irrelevant. If you can write the copy that gives people that connection and makes them invest their time, you’ve pretty much done your job. End with a subtle call to action and, with any luck, it’s a win win – just like Old Speckled Hen has successfully achieved. There are copywriters who are specialists in this style of writing and there are some good books out there on the subject allowing the rest of us to get up to speed. For me, trying to soak up all of this information sometimes feels like an impossible task, but it’s this constant learning curve that makes us better copywriters. Read, read, read, then write, write and write some more. Footnote: I don’t even like beers and ales, but I love these spectacular ads enough to make me want to try Old Speckled Hen for myself. Now, that’s good copywriting! Keep an eye out for the adverts and check out Speckled Henry on Twitter!